Who says vegan or vegetarian food is boring? If you are sick of eating plain rice and vegetables, why not try something different—vegan burgers! 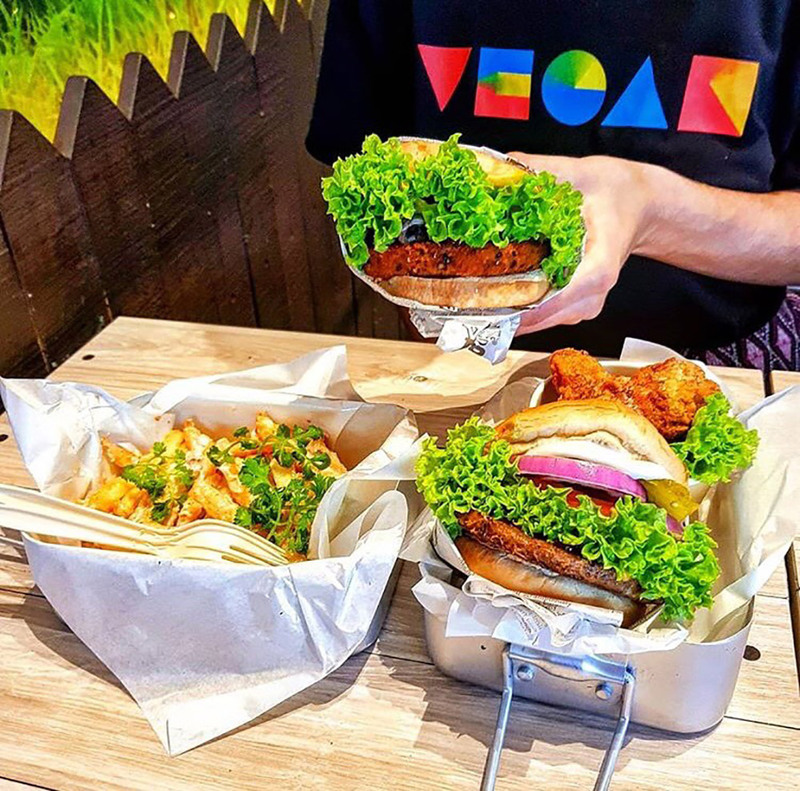 We have listed our top 5 places that serve the best vegan or vegetarian burgers in Singapore. 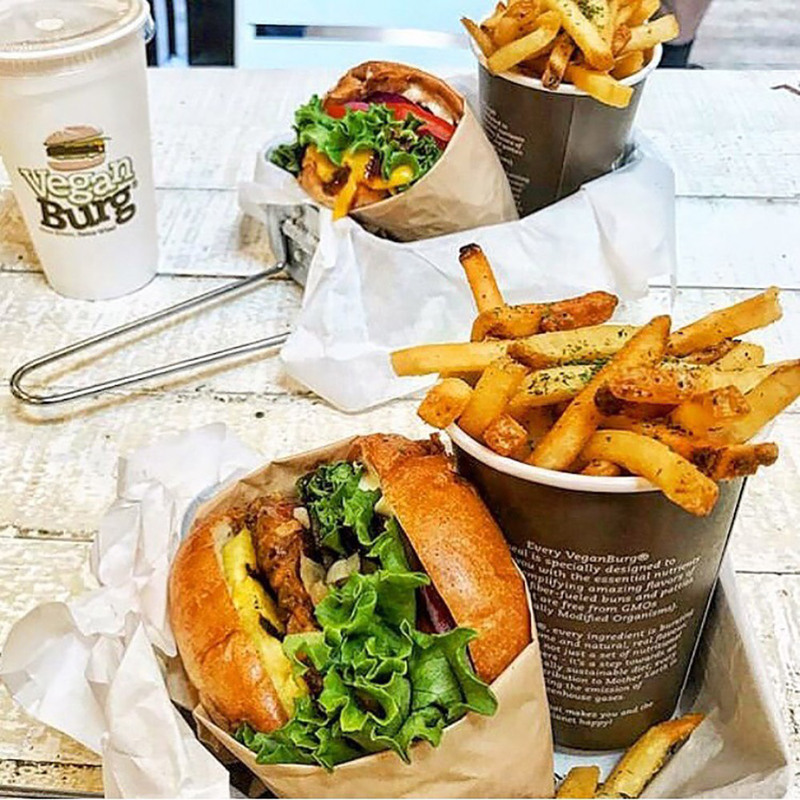 Founded on 10 October 2010, VeganBurg is the world’s first 100 percent plant-based fast food restaurant. 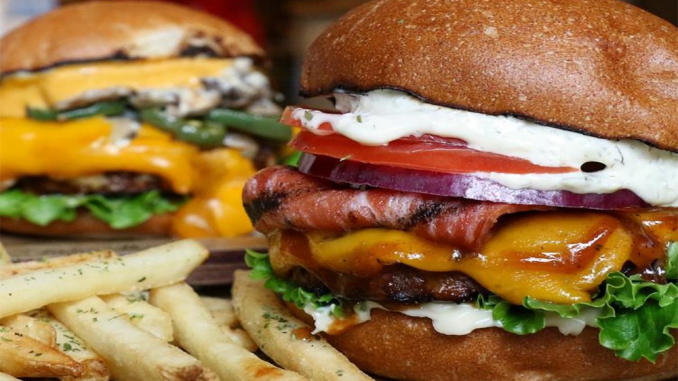 All of their burgers are vegan and do not contain gluten, dairy or eggs. The patties are made from soya beans and mushrooms, and are GMO-free, cholesterol-free and hormone-free. Combined farm-fresh greens and gourmet sauce in a wholewheat bun, their vegan burgers are some of the best in Singapore. There’s no reason why fast food can’t be nutritious and healthy, and VeganBurg has done a great job in that department. 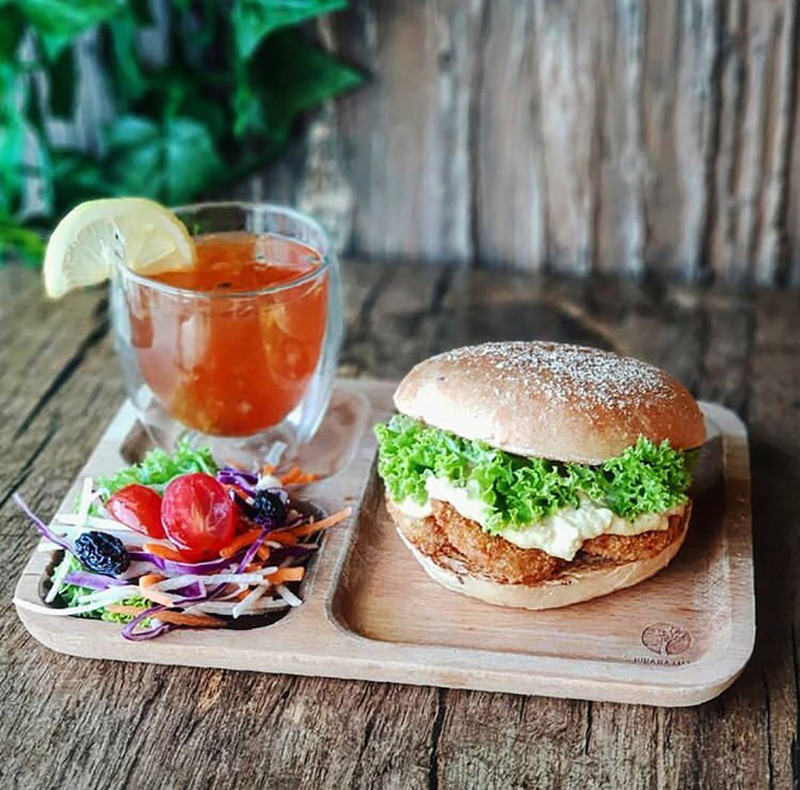 Their bestselling Avocado Beetroot (S$11.90) burger consists of a GMO-free crispy plant-protein patty topped with slices of fresh avocado and shredded beetroots, fresh lettuce, red onions, tomatoes and creamy vegan aioli. Another bestseller — the Creamy Shrooms (S$9.90) — is a culinary masterpiece. The burger bun is filled with fresh button mushrooms, zesty peppers, and a crispy yet juicy vegan patty that is perfectly complemented by a dairy-free cream sauce. Cracked Mayo (S$8.90) is another must-try! Spread with VeganBurg’s cholesterol-free mayo, this all-time classic never gets old. The serving size for each burger is quite big. But for only an additional S$3.90, you can add either seaweed fries or sizzlin’ broccoli, and a 16 oz drink to complete your meal. You can also choose to add-on any delicious side dishes off their menu. 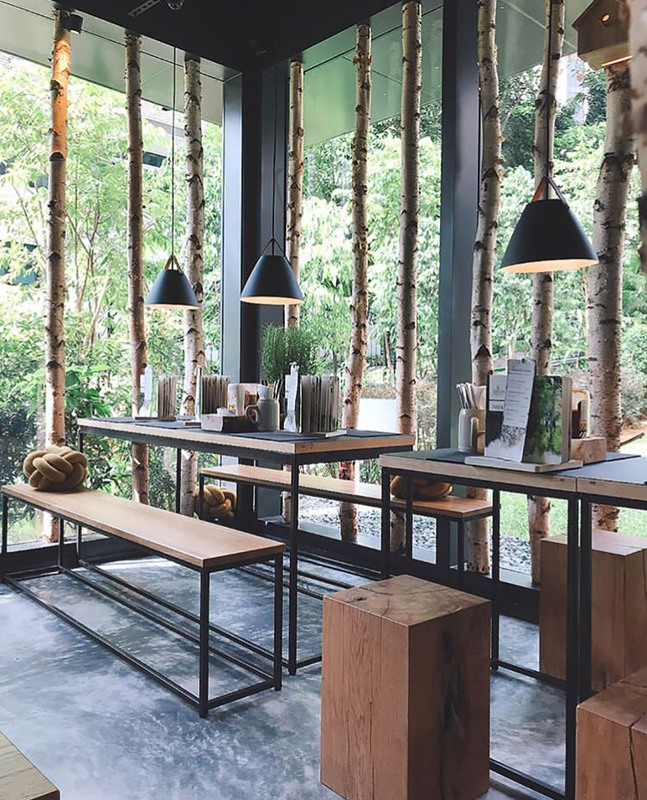 With four outlets in Orchard Road, Raffles Place, Boat Quay and VivoCity, this German burger joint serves seven different types of vegetarian burgers and four vegan burgers. For the bun, you can choose between a sourdough bun, multigrain bun or a naked burger (which comes without bread). 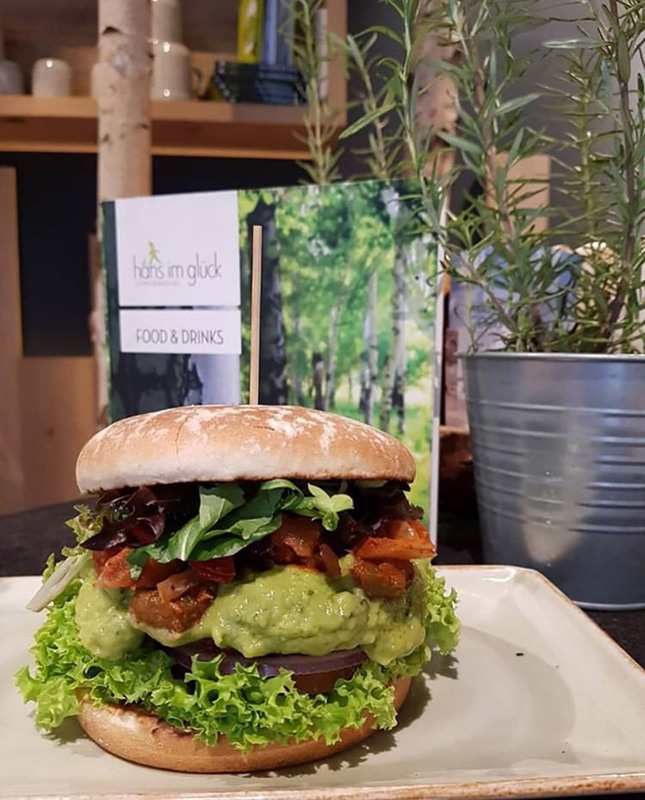 Each burger comes with fresh lettuce, red onions and sun-ripened tomatoes, all drenched in their secret Hans Im Glück sauce. The patties are made from olives, walnuts, spinach and cheese, or wheat. Try out their vegetarian Horntrager burger, which is one of the best vegetarian burgers in Singapore. Its special walnut patty is juicy with an excellent bite , and it goes well with the chunks of feta cheese and fig jam. Or, indulge in the Wohlfein burger, which consists of a walnut patty paired with aged cheddar cheese, lingonberries and more walnuts. 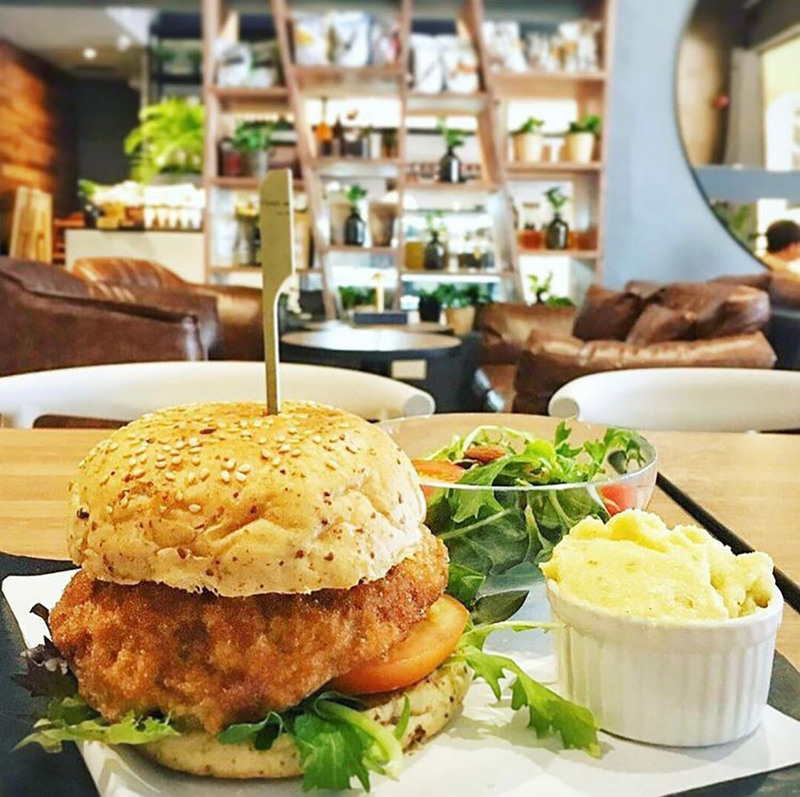 Their vegan option, Fabelhafter, combines a wheat patty with avocado cream and herb salad. The patty tastes just like meat and, complemented by an orange-mustard sauce, this burger is something that will spark joy in you. 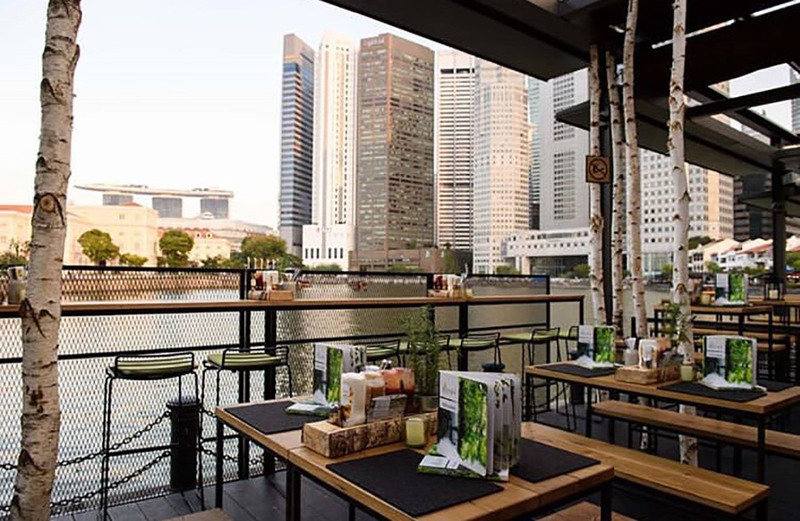 Add S$5 to the price of the burger to make it a special complete meal, which comes with a side of your choice, a speciality drink, and a hot drink. Do note that their lunch special is served up till 5pm every day, whereas their evening special starts from 5pm. 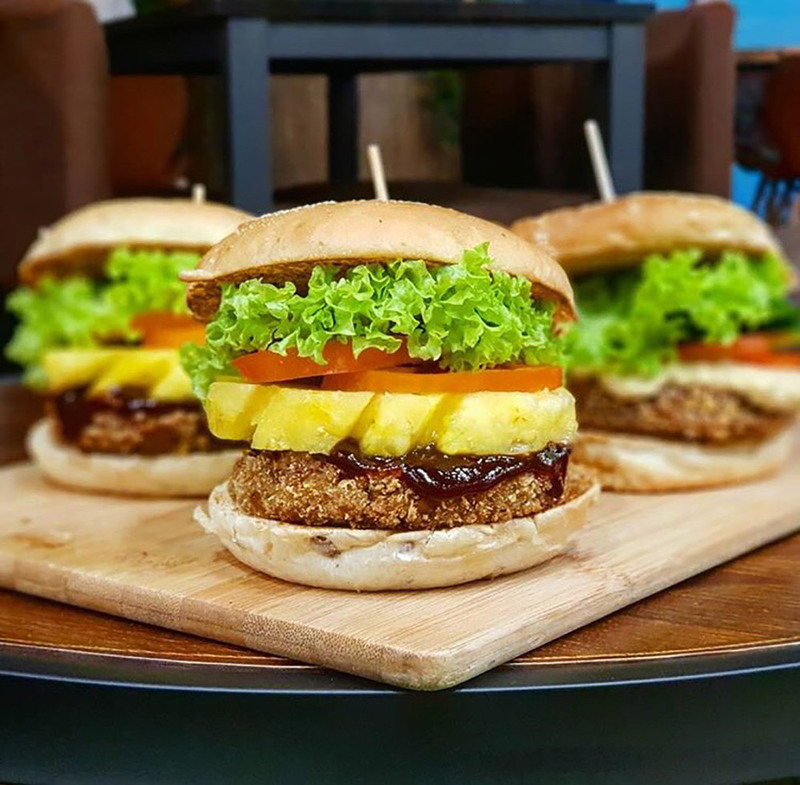 Founded by Dr Ng Wai Lek, a vegetarian for the past 30 years, Nomvnom offers a total of 22 types of mouthwatering vegan burgers. With an extensive menu and affordable prices, the restaurant is loved by both vegans and non-vegans. The patties are either imported or homemade, and are free of dairy products, onions, garlic, and alcohol. At Nomvnom, you can choose from a variety of patties, ranging from soy, potato, mixed vegetables to mushroom-based. 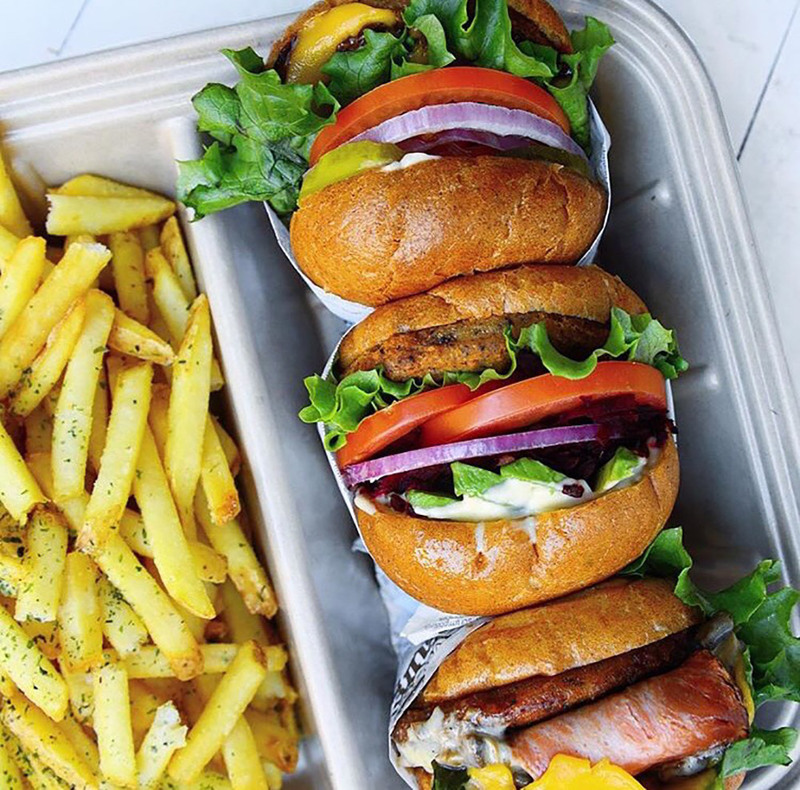 Their homemade burger buns are made from all-natural ingredients such as unbleached white flour, brown sugar, natural yeast, sea salt and filtered water. Instead of toasting or pan-grilling the buns, Nomvnom steams their buns as this is healthier and non-greasy. Their top picks are: Nom Nom (S$7.90), which combines a crunchy soya patty with tartar mayo sauce; Lion’s Mane Truffle (S$9.9), which comes with a Lion’s Mane Mushroom patty and sauteed white button mushrooms drenched in truffle mayo; and QQ Cheezy (S$9.9), a breaded mushroom stem patty dressed with special homemade cashew cream cheese. Check out their full menu here for more. 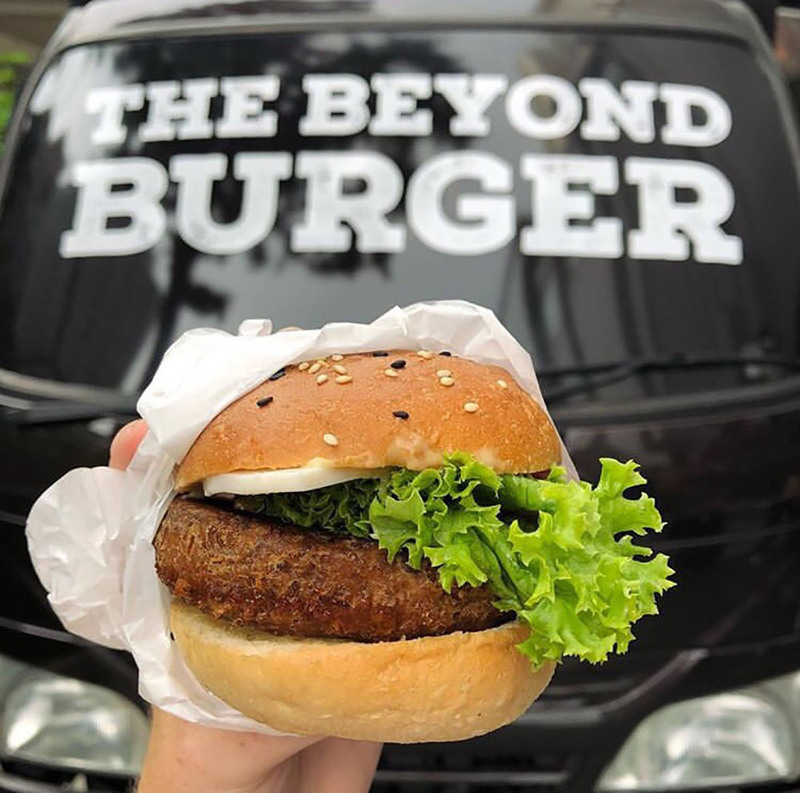 Mezza9 at Grand Hyatt Singapore brought US-based company Beyond Meat Burgers to Singapore last year. The burger patties are 100 percent plant-based and look and taste exactly like meat patties, but they are primarily made from peas and beetroot protein, and are cholesterol- and hormone-free. 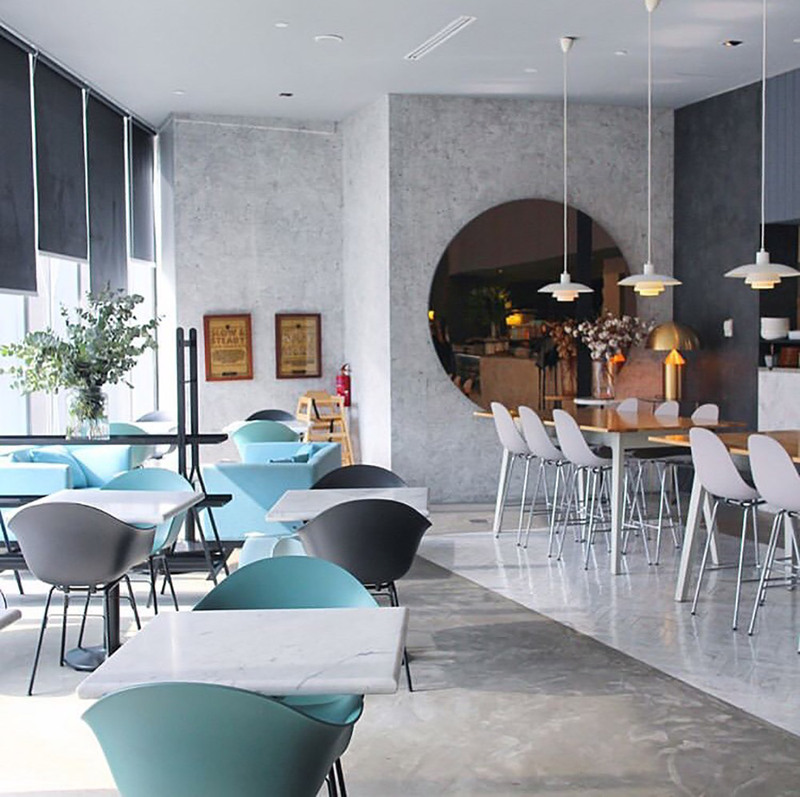 At Mezza9, you can choose between the Classic Cheese Burger or the Modern Asian Burger, both of which are fully vegan. 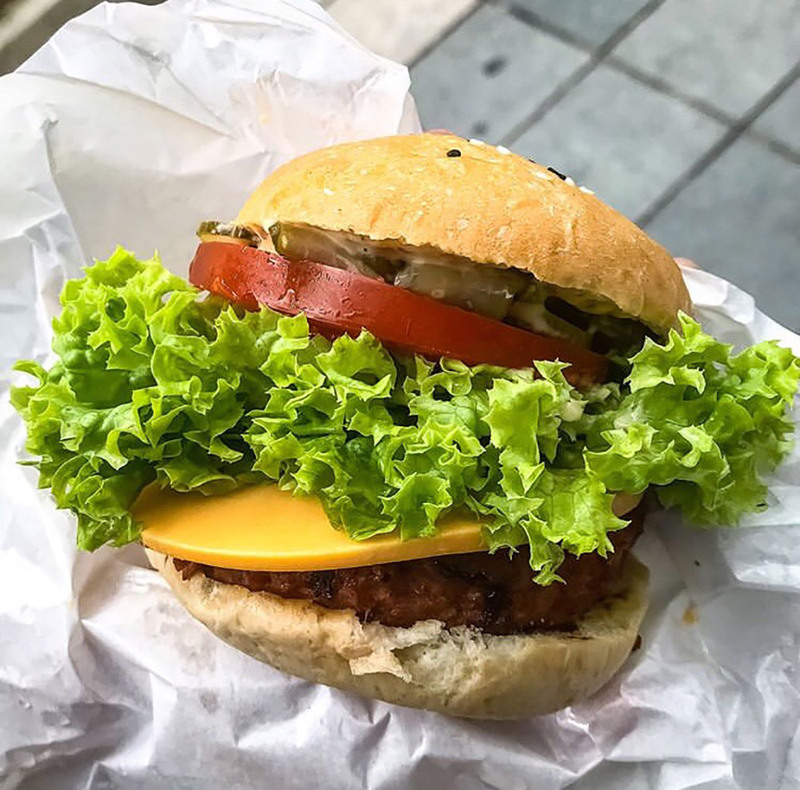 The Classic Cheese Burger consists of a brioche bun sandwiching red onions, lettuce, pickled gherkins, a vegan patty, walnut-based vegan cheddar cheese, and plant-based mayonnaise mustard. We guarantee that the taste will amaze even meat lovers. Every bite mimics the flavour and texture of grilled minced beef. The Modern Asian Burger consists of a corn bun paired with a vegan patty, Asian slaw, furikake seasoning, pickled daikon, ginger drenched in wasabi mayo, and spicy Sriracha sauce. 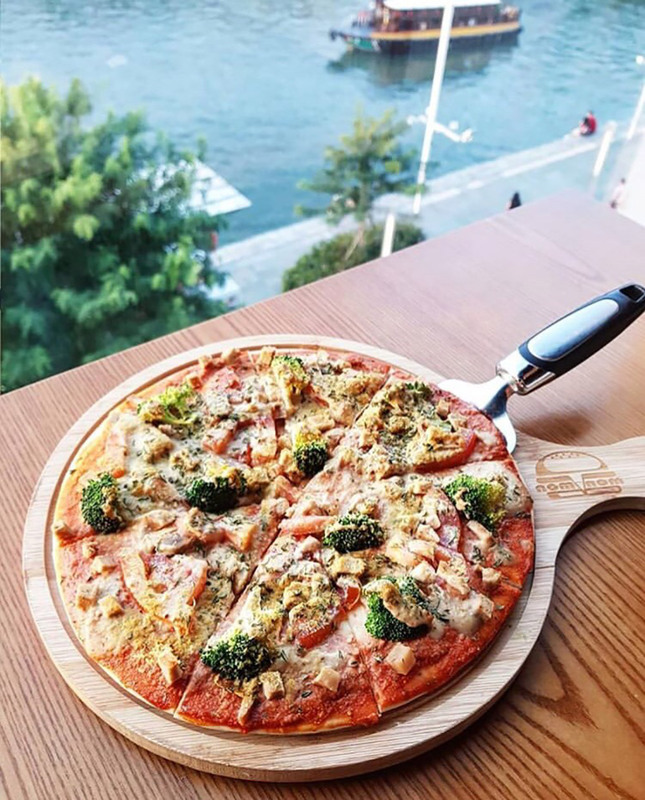 The burgers (S$25) come with a side dish of either french fries, crispy organic cauliflower, steamed organic broccoli or ancient grains with herbs. Real Food serves healthy vegetarian and vegan foods that are made from scratch and with only fresh ingredients. There are four outlets in Singapore, of which the Orchard Central outlet is probably the most well-known. At Real Food, there are no processed ingredients, artificial preservatives or trans-fats in any of their dishes. Real Food serves four types of vegetarian burgers, each with two side dishes of your choice. One of their signature burgers — the Beet Millet Burger — comes with a handmade patty made from beetroot, carrots, onions, millet and potato. It is topped with grilled onions, tomatoes, guacamole and fresh greens. 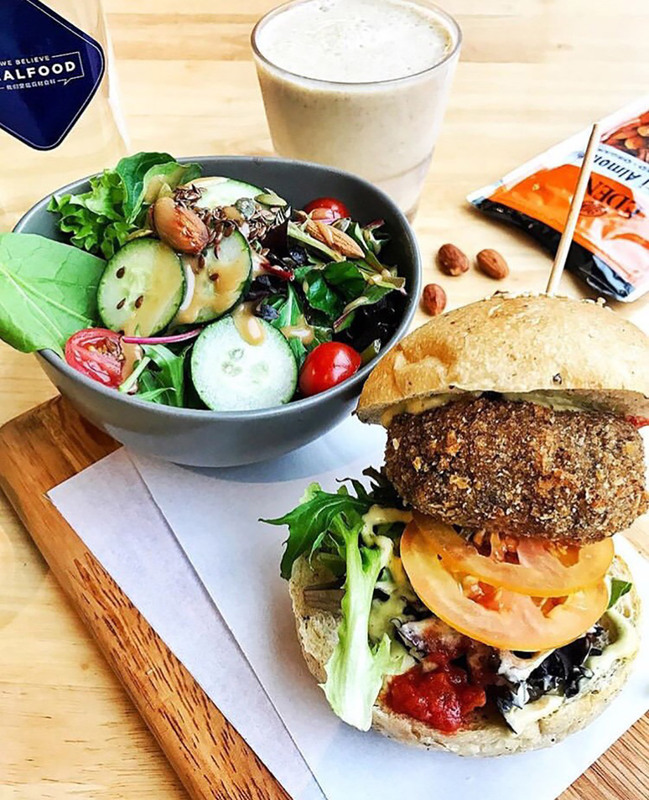 Try out their Lentil Quinoa Coquette Burger, where the patty is made of roasted walnuts, mushrooms, quinoa, oregano and Himalayan lentils. 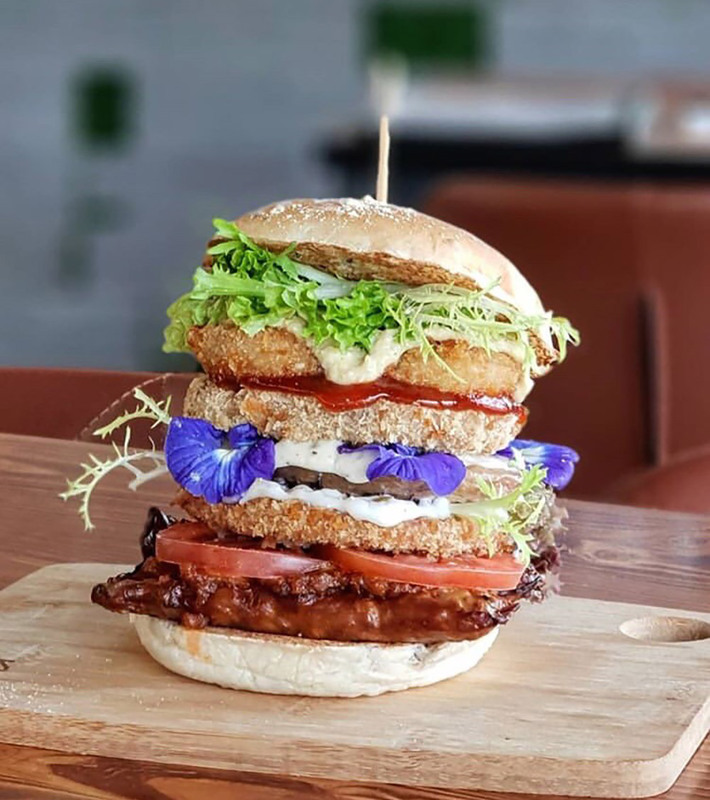 Their vegan option — the Portobello Burger –— is filled with battered Portobello mushroom seasoned with herbs,whereas the Barley and Mushroom Burger comes with a patty made from organic barley, assorted mushrooms, onions and corn. Do note that not all branches offer all four types of burgers. What do you think of our top five list? Comment and share your thoughts below! Is Singapore a Gracious and Kind Society?